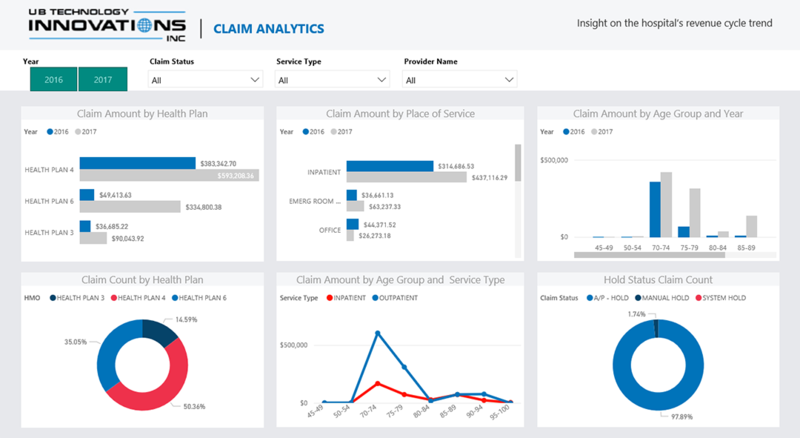 Hospitals, health providers, health plans and MSOs are using UBTI’s Healthcare Analytics to turn their data into insightful graphs. 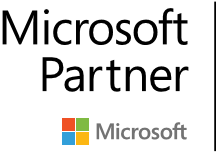 Fueled by Power BI, this plug and play solution was developed based on two decades’ experience optimizing data for the healthcare industry. 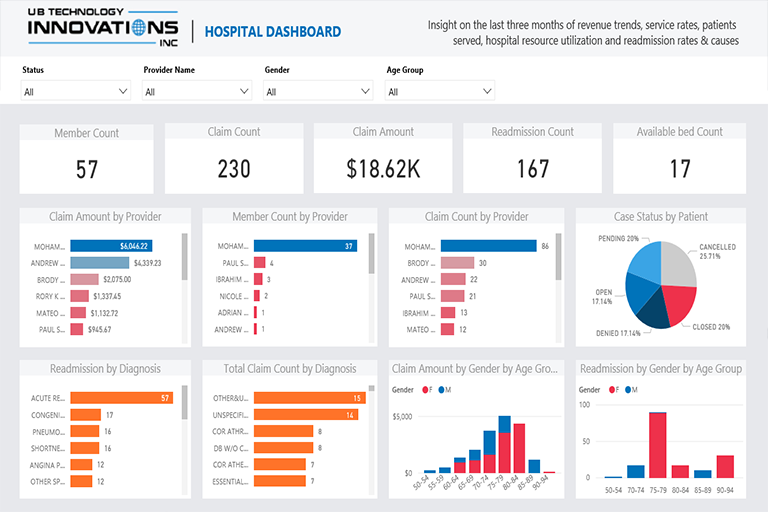 The dashboard’s interactive graphs allow you to oversee revenues, service rate comparisons, patient case status, admission trends, and more. 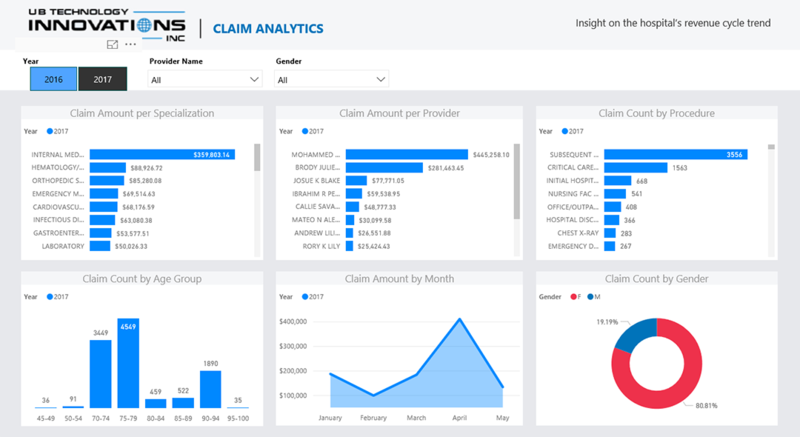 Just point and click to segment the data by age, gender, ER visits, etc. 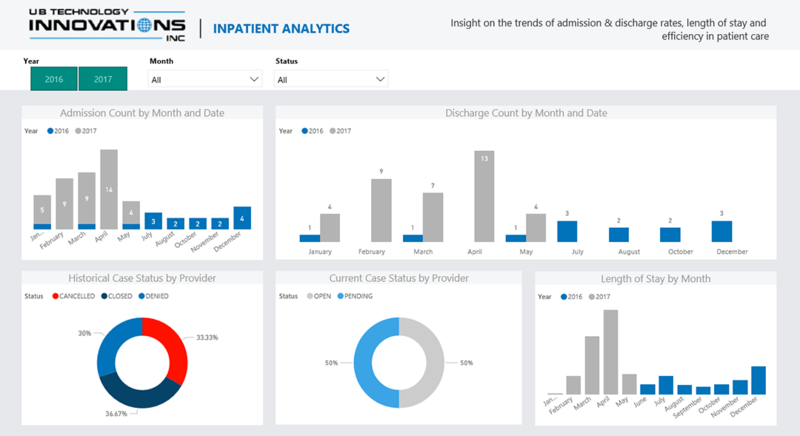 Rather than crawling through endless information, the graphs in Healthcare Analytics allow you to quickly make data-supported decisions to reduce costs, improve service, and propel growth. For more information, please contact simson@ubtiinc.com.